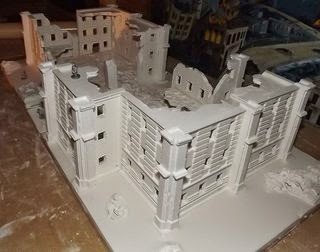 One day they will make a plaster that is as durable as resin, and that day will be one I have Been waiting for, because the realistic look of plaster can't be matched in my humble opinion. 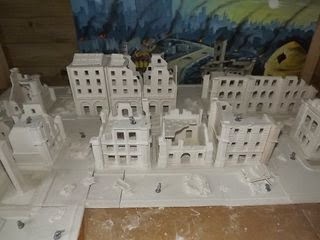 Years ago my father made these whilst I was learning and i have recently found the folder containing their pictures so although the moulds no longer exist i think they are worthy of a post and for you to view, i say no longer exist i do still have the road mould so might use it once again in the future. 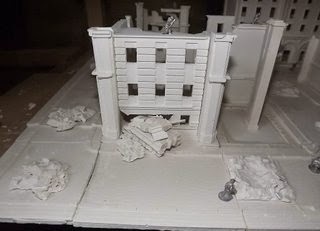 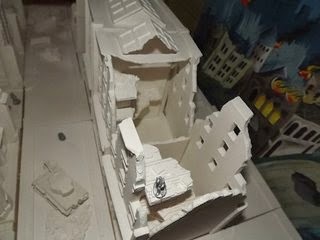 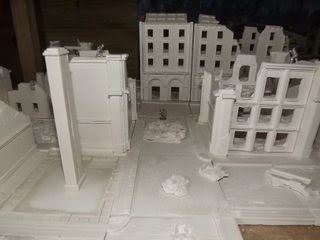 the idea was to make a small table setup that could be rearranged to suit, so the roads matched the dimensions of the buildings bases. 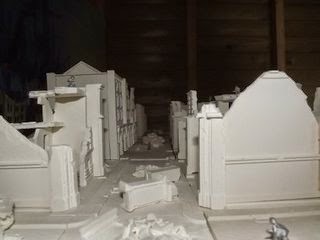 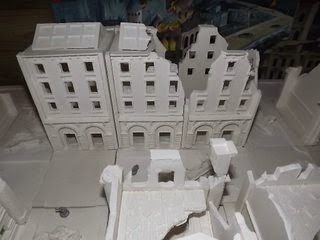 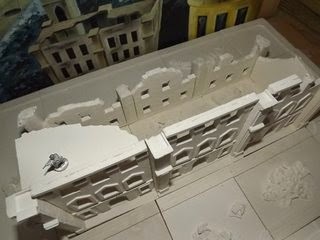 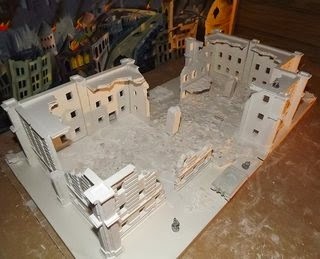 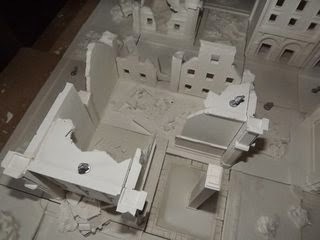 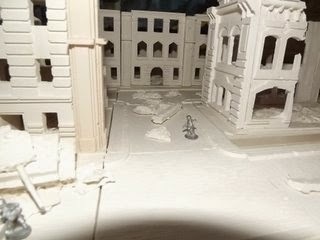 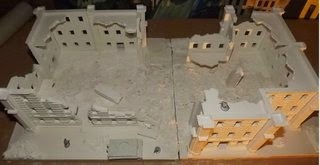 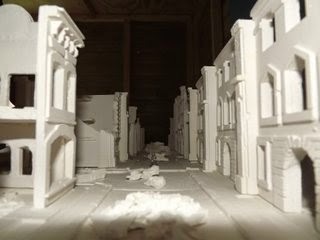 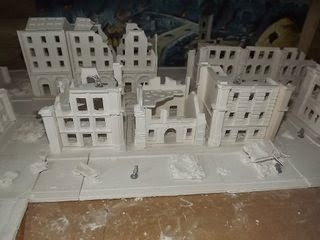 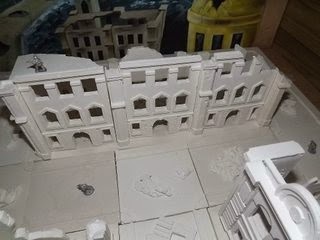 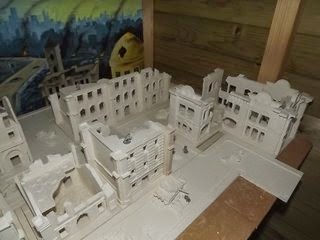 the set consisted of 10 buildings none of which were the same, the whole setup was about 4ft x 2ft and consisted too of 2ft in length of railway track (cast) and enough roadways to create the layout you needed, I have no idea of the amounts but at a guess there would be about 15 long straights (150mm) 10 shorts (80mm) four x-roads and at 6 L-shaped and 2 T-junctions. 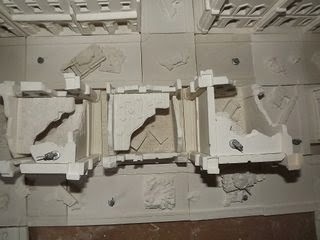 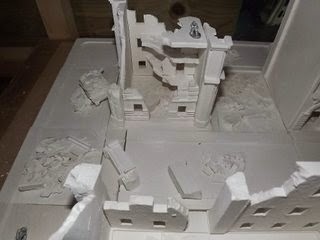 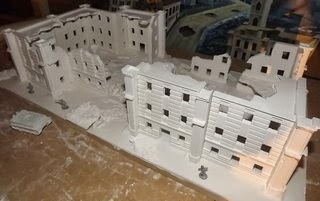 the beauty of plaster is that you can break it to cause the damage from full pieces and it makes each piece unique. 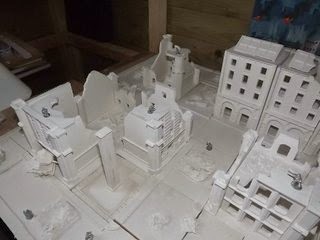 anyway here are my full range of pictures that I have found, I am going to price up a resin set just to see how it compares, I think this set sold for about £150. 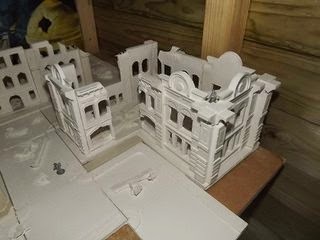 fir myself I am working on my versions of these setups, a set of generic buildings that can be pieced together to suit the setup wanted, some of these are done as you can see with the single block buildings I have, those can be slotted together to make bigger setups as I will list them too in the coming days/weeks.